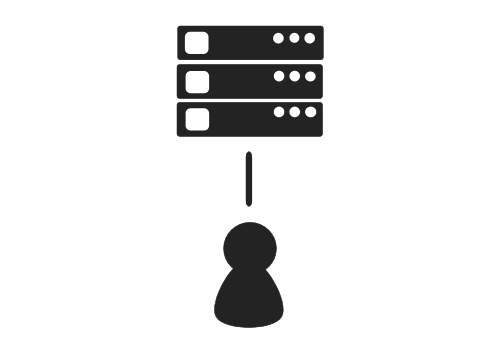 Dedicated servers are a resource reserved for a single computer to use; dedicated servers are not shared resources between multiple users or service purchasers. Dedicated servers are used for a variety of functions within an organization, such as managing dedicated resources for printer or scanner functions; dedicated servers tend to host important internal resources. When choosing to a server implementation, dedicated servers are an excellent choice when sharing resources with other tenants or services is not recommended. 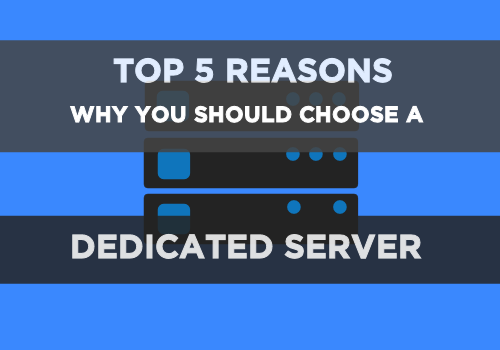 Below, our top five reasons for choosing a dedicated server are outlined. Dedicated servers, sometimes called bare-metal servers, offer the ability to have single-tenant environments, which means resources are not shared among unrelated tenants; a tenant is normally an individual that is renting server space on a shared server resource. Single-tenant environments are exceptionally good resources when sensitive data is being stored or accessed since reducing the number of tenants that have access to the server reduces the potential for data breaches or compromising events. Additionally, dedicated servers provide tenants that ability to use 100% capacity of the server; this complete usage allows tenants to properly allocate their resources knowing the full extent of their server capabilities. Bare-metal servers provide the opportunity to customize server needs based on the tenant’s wishes or needs, providing a variety of customization options that shared server resources often do not provide. One popular customization is the use of multiple drives in a RAID setup, which provides data redundancy and performance improvements; RAID stands for Redundant Array of Independent Disks. Data stored on the RAID setup is distributed across the different RAID levels based on the necessary amount of redundancy; this creates protection against issues with reliability, availability, capacity, performance, and physical drive failures. Utilizing a dedicated resource also allows the tenant to choose options like different CPUs or RAM options. A tenant can choose to prioritize speed or performance for their server based on their needs. Additionally, with a single-tenant server resource, users can employ root access on their server; root access provides ownership-level control over the resource and is not traditionally allowed on shared resources. 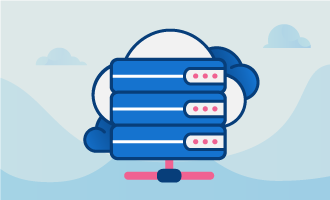 Dedicated server resources provide high levels of performance and availability for websites and web applications, especially when they become too large for cloud or shared server resources. The larger the website or application, the larger the drain on server resources; think of websites with traffic that numbers in the millions or billions on a daily basis. Bare-metal servers provide these large websites or application with significantly lower load times compared to shared resources. These larger sites or applications cannot afford to experience longer load times or issues with uptime or availability; shared resources can lead to these issues. A dedicated server can also provide great value for cloud re-sellers or virtual private server (VPS) re-sellers. Re-sellers of these services may find that bare-metal servers provide all the benefits they’re looking for in a resale product at a much lower cost than cloud or virtual solutions. Additionally, dedicated servers can offer the same specifications as virtual resources, making it more cost-effective to purchase bare-metal resources and resell them. Dedicated servers, as mentioned above, provide the tenant with 100% capacity and the ability to customize the solution as needed. This means that they offer the potential for large storage capacities, giving the tenant the storage space needed for large applications and databases. Shared resources often have storage space limitations since the resources are shared among multiple tenants, but these can be avoided through single-tenant occupancy. Choosing to use a dedicated server provides many benefits that shared server resources cannot provide. These benefits include full capacity usage, customization options, enhance application and website availability, enhanced value over shared resources, and a large amount of storage capacity. Dedicated resources provide organizations with enhanced levels of control and resource management, making them a great option for a variety of users.